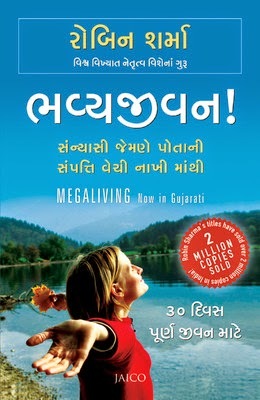 In Megaliving: 30 Days to a Perfect Life, Robin Sharma, one of the world’s leading success coaches, offers the ultimate action plan for total mastery over your mind, body and character. Megaliving contains the master keys to dynamic living. Everyone deserves to have a peaceful and joyous life and it can be achieved with the help of the guidelines provided in the book. For over a decade, Robin Sharma studied the strategies of individuals who have achieved long-lasting personal, professional and spiritual success. From leading industrialists, CEOs and well-known athletes to learned philosophers and wise sages, he persistently searched for people who were successful in creating lives filled with prosperity and peace. This revolutionary book reveals these astounding secrets and sets out guidelines to help you achieve the life you have always wanted. Robin Sharma is a bestselling Canadian author, leadership expert, and lawyer. He is the author of the phenomenal bestseller, The Monk Who Sold His Ferrari. His other books also deal with leadership and motivation and are titled The Greatness Guide, The Saint, The Surfer and the CEO, among others. Robin Sharma holds a Master's from the Dalhousie University School of Law. He worked as a staff litigation attorney before authoring books on the subject of leadership. He has a company called Sharma Leadership International Inc, and few of his clients are FedEx, Nike, Microsoft and IBM. His books are mostly bestsellers and have been translated into over 70 languages and he is one of the most read authors worldwide.